A massive emerald rock, estimated to worth £238million, was discovered in a gem mining field in Brazil and is currently being kept under heavy security in a secret location as the owner, who can only be identified by his initials FG, fears kidnapping, extortion and armed robbery. He revealed that while it would need a forklift truck to lift the gem rock, the risks of a heist are high in Brazil where criminal gangs use explosives to raid banks and carry powerful firearms. The cautious owner said this week: 'I can't reveal anything about the whereabouts of the stone, how it's being kept and how much I paid for it. 'All I can say is the stone is being moved frequently from secure location to secure location under armed guard. 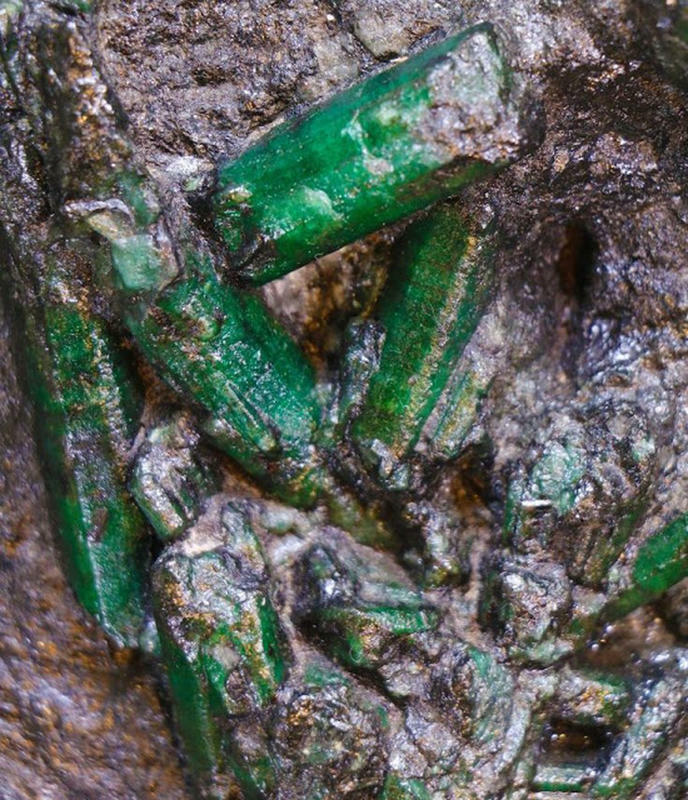 There are only two giant stones with this density of crystals in the world, and according to FG, the other one, the Bahia emerald, which was the subject of a legal dispute over ownership between Brazil and America, 'does not possess the same pure quality as the new Carnaiba emerald'. 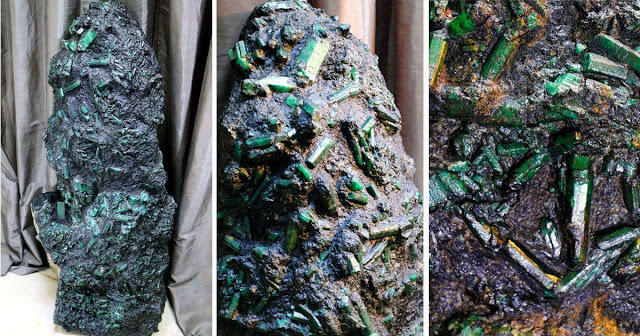 The massive emerald, which weighs 794 pounds (360kg) and stands around 4.3 feet high (1.3metres), was unearthed a month ago, 200 metres deep inside the Carnaiba Mine, a gem-rich mineral exploration area in Bahia, north east Brazil. Extracting the stone was extremely difficult. It took ten people more than a week to get it out because it was 200 metres down in the ground. FG paid each member of the Coop for their share of the gemstone, leaving him as the sole owner of the Carnaiba Emerald. This jumbo jewel was found in the same mine just one hundred metres from where the Bahia emerald was discovered sixteen years ago. 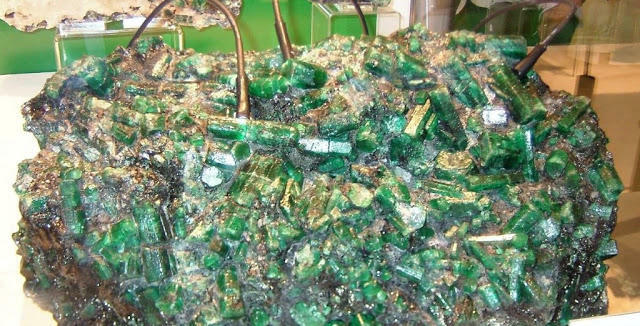 According to reports, the Bahia emerald, which was heavier than the Carnaiba emerald (44 pounds heavier), was illegally taken out of Brazil to the United States. 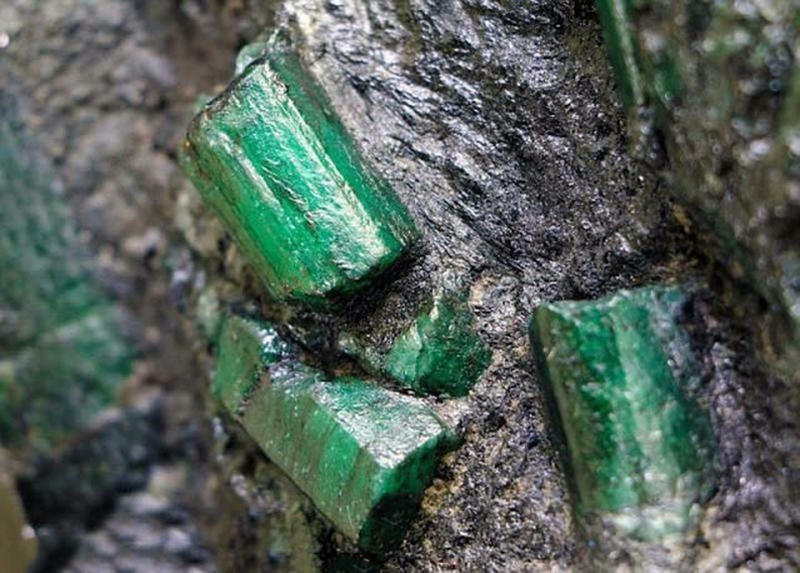 Although the Brazilian government claimed the emerald cluster, valued at $310 million, should be returned to the country as part of the nation's heritage, judges ruled otherwise in 2015 and the stone remains in America. A confident FG said there is no risk of this happening to the new Carnaiba discovery as they have done all the issuance of the certificate of origin, a requirement of the Department of Mineral Production.